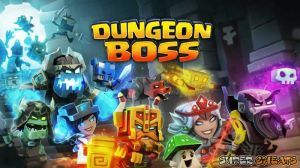 Dungeon Boss is a turn-based RPG that focuses on a multitude of heroes at your disposal. Conquer the land! Raid other players' dungeon and steal their loot. Create the best team out there and climb the ranks to be the best Seeker in the land. Welcome to the Dungeon Boss guide. Please use the menu on the right to navigate. No discussions open for Dungeon Boss at the moment.